1. An android smartphone/tablet or an iPhone/iPad. You'll also need access to the App Store or Google Play Store so that you can download our Setup app and our Monitoring app. If you don't have a signal at your tank location we recommend placing your router in a window facing your tank or using a WiFi extender. Check out our connectivity tips. The cable that connects the gauge face to the monitor body is 6ft long - the monitor is designed to be mounted at your tank location. A Remote Ready (R3D) dial has a slot to hold a sensor. 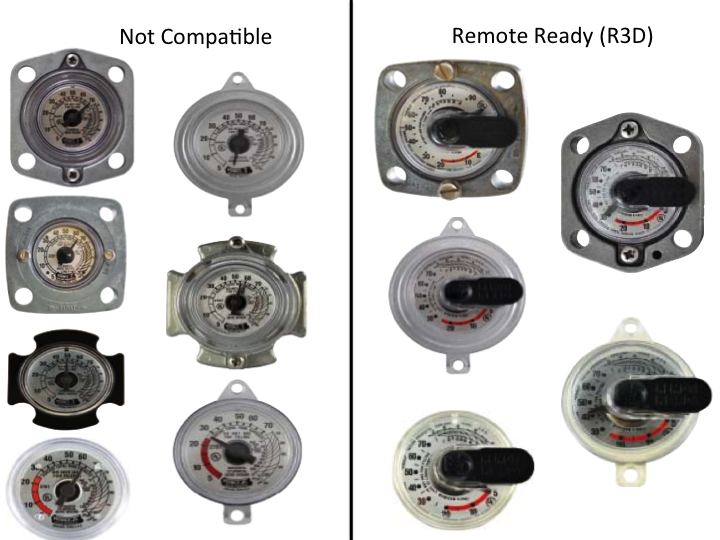 If you don't have a compatible dial, we can provide you with a dial replacement. WARNING: We recommend that fuel distributors or technicians replace dials, as there is risk of harm if the tank is depressurized unintentionally. Please email support@tankutility.com if you need help contacting your supplier.